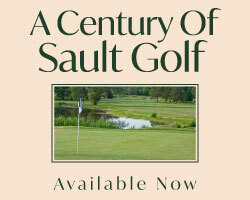 Throughout the roaring 20’s Canada’s preeminent golf course architect, Stanley Thompson, spent much of his celebrated life hanging out in Ontario’s cottage country building wonderful layouts –and scuttlebutt has it he had a pretty good time along the way! Many of the courses that he had a hand in birthing no longer exist or have radically changed over the years but his impact and contribution to the growth of golf in the region is undeniably immense. The majority of these rural and cottage courses were born as nine-hole gems with some expanding to 18-holes at a later date. One gem, however, that is essentially unchanged from the day it was completed in 1926 is Innisfil’s Big Bay Point Golf & Country Club. Big Bay Point is located 20 minutes east of Barrie on the south shore of Kempenfelt Bay at the mouth of Lake Simcoe. For you Stanley groupies this is a must pilgrimage. What you will enjoy here, although scaled down in scope for the course is a diminutive 2367 yards in length, is a classic Thompson design where towering trees, tricky green complexes and great use of the natural lay of the land will leave you wanting more. The founders of the course were a handful of local cottagers who began the project by clearing the rocks from a farm field and fashioning together three holes, then another 5 were added in year two. It was then that Thompson was brought in to design and help build the complete 9-hole routing. 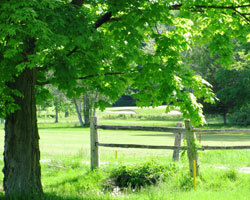 With monikers like The Birch, The Pit, The Cedars and the Grove each name tells a story of the character of the hole. Big Bay Point is a nicely groomed layout that places a premium on strategic tee ball placement and precise iron play to the speedy greens that border on miniscule. A tidy short game is also a necessity to score well. The Orchard, The Sunset and Hurdle are perfect examples of holes where all threes skills will be leaned upon. The opening hole, The Orchard, is the longest hole on the course at 384 yards. This gentle downhill dogleg right puts a little stress on your accuracy right out of the gate with a forest and OB pinching in on the right and an overhanging tree in the landing area left. The approach must find a small undulating green site that does its best to repel all comers. Welcome to Big Bay Point–don’t let her apparent lack of girth seduce you in to thinking this place is a push over. It’s tough to get the ball in the hole here. The Sunset (#3) is a 279 yard grip-it and rip-it par four that tempts you to give it a go. 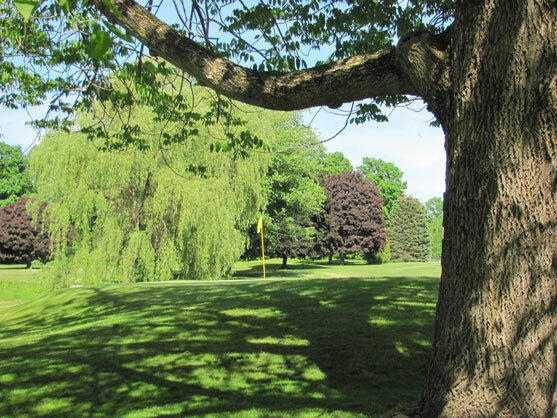 However, the long narrow “Donald Ross” like green falls off in all directions and the entrance is guarded by a large Willow short right and a row of Pines and Maples left. Par 3, number 8, aptly named The Hurdle for a partial hedgerow needs to be cleared before reaching the sloping green site which is surrounded by bunkers left, front and right and a stand of red maples encircles the back. The course is easy to walk and the current crop of cottagers have maintained the relaxed family atmosphere of yesteryear when tee times were unheard of and pace of play never an issue. Although Big Bay Point is a private club an Annual Membership category exists. Contact the course for details. Stanley Thompson left his stamp on the Canadian golfing landscape building golf courses from coast to coast, many of which are considered to be some of the finest layouts in the land. He not only left an indelible mark on course design but also shaped a generation of notable golf course architects who followed in his footsteps. 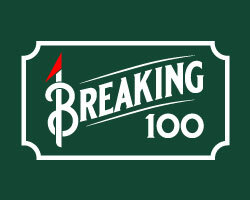 He mentored or trained many of the industry’s giants such as Robert Trent Jones, Geoff Cornish, Robbie Robinson, Ken Melton, Bob Moote and Normand Woods among others. Canada’s contemporary group of powerhouse designers, such as Doug Carrick, Graham Cooke, Les Furber, David Moote, and Thomas McBroom, all have been heavily influenced by Thompson. 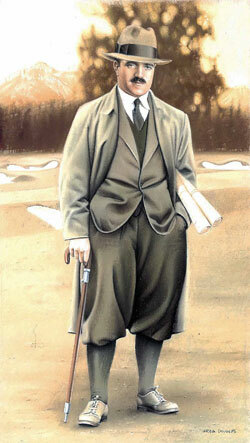 Thompson had his hand in the design of the following rural/cottage country courses in Central and Northern Ontario.